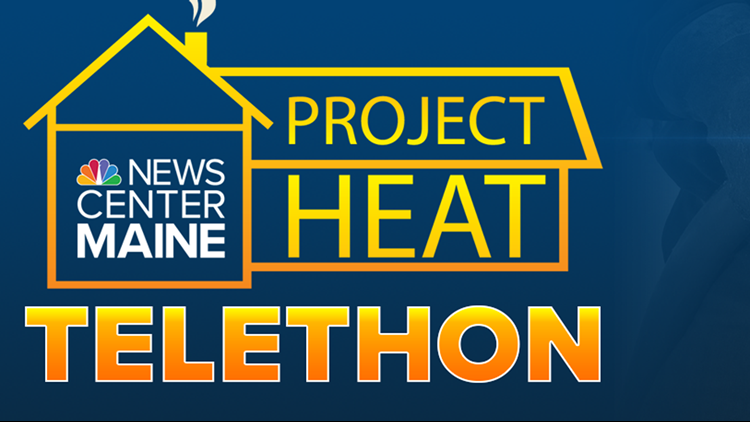 NEWS CENTER Maine's Project Heat Telethon is raising money for United Way's Keep ME Warm Fund to help Mainers with heating assistance. PORTLAND, Maine — Thank you to everyone who donated for the 2019 Project Heart Telethon! If you are still interested in donating but weren't able to get to the phone today, you can still do so online at keepMEwarm.org. Each year thousands of Mainers struggle to heat their homes. This year, for the more than 148,563 people living in poverty, winter means having to choose between heating their homes and paying for food, medicine or rent. On Thursday January 17, NEWS CENTER Maine’s Project Heat telethon raised money to support United Way’s Keep ME Warm fund, the only statewide fuel assistance fundraising effort in the state. Funds are distributed to Community Action Agencies (CAPs) and United Ways as well as 2-1-1. United Way of Greater Portland will collect and distribute funds based on a formula developed by the Community Action Programs and United Ways in Maine. Community Action Programs receive 65% of the funds, United Ways receive 25%, and 2-1-1 Maine receives the remaining 10%. In 2018, Keep Me Warm raised a total of $202,749, helping approximately 783 households each with 100 gallons of heating assistance. If you are in need of heating assistance, please call 2-1-1 by dialing 2-1-1.